Research options for university with your child as early as possible. Then in the summer before the year they plan to go, your child should start to narrow down their uni choices to five for their application. Help your child to prioritise what's important for them – location, student mix, accommodation, facilities, social life, course, learning support – then work out what universities are the best match for them. Employability support for your child to build job-specific skills including placements. Join your son or daughter for a visit to our campus and find out if we’re the right match for them. Look around our facilities, meet staff and speak to current students about their experience as students. Data protection means that we may not always be able to discuss the details of your child's application with you. Our distinctive approach to teaching and learning prepares your child for their career after graduation. Your child will be taught by practising professionals in industry-standard facilities with opportunities to try out their new skills on real world situations. To apply for a full-time undergraduate course with us, your child must use the University and Colleges Application System (UCAS). They can put up to five universities on the UCAS application form. UCAS is the organisation responsible for processing applications to UK universities for all undergraduate courses and students. Take a look at UCAS’s advice section for parents. 15 January - first deadline for all other applications. If your child applies by this date then they will receive a decision by the beginning of May. At Middlesex we also consider applications made after January. So if you miss the first deadline it’s worth getting in touch to find out your child’s options. We make sure your child graduates with skills that make them employable in the real world. Our business links, networking events, industry projects and work placements all help get them closer to their dream career. Your child can follow the progress of their applications online, and respond to offers they get, through UCAS Track. Some courses might also ask for an interview, portfolio or audition as part of the application. If your child applies in January then they should choose their first choice or firm option and their back-up or insurance option in beginning to mid-May. Then they will decline all other offers. It's a good idea to make an insurance choice that has lower entry requirements or conditions than their firm choice. Your child can also defer their entry to university for a year. From February onwards, your son or daughter can start to apply for student finance. Tuition fee loans cover your child’s tuition fees. They are available to most UK and EU students entering full time higher education so check to see if your child is eligible. Living cost loans and living cost grants help with the extra costs of university such as accommodation, travel, food, buying books and materials. Scholarships, awards and bursaries are financial support for students that do not need to be paid back. At Middlesex, we try to make studying with us affordable for as many people as possible. Ask our Student Welfare team about what help might be available for your child. You and your child must also decide if they want to live at home, stay in university halls of residence or rented accommodation. 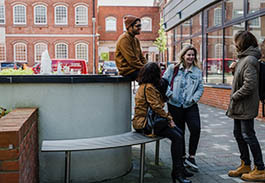 At Middlesex we have student halls close to our campus in Hendon and in north west London. We guarantee accommodation in halls for all full-time first year undergraduate students. Your child can also search for private accommodation using Middlesexstudentpad to find local rooms, flats and houses for rent. As a university student, your child will network with people from around the world and learn how to work effectively together. At Middlesex, our current students are blogging about their favourite university experiences from socialising to collaborating in the classroom. When results day arrives, if your son or daughter has got the grades to secure their university place – that's great! We'll get in touch to confirm everything with them. If they haven’t received their expected grades, don’t panic, as we may still be able to accept them. Log onto UCAS track to check. They want to transfer from another university or college. 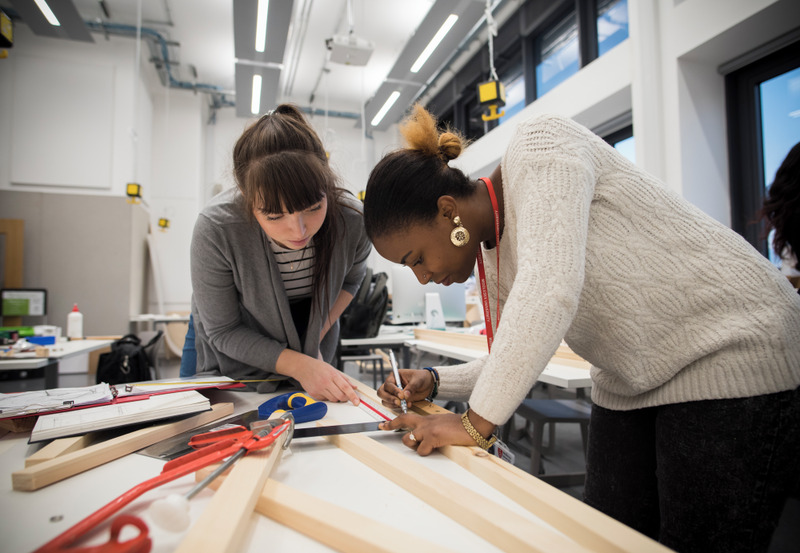 Your child should start by looking at the range of courses available through Clearing then call us on 0208 411 6565. See our guide to what you need to know about Clearing. Enrolment is the next stage of your child’s journey to Middlesex. 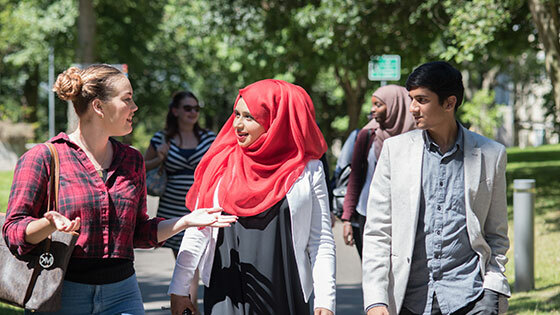 As soon as your child’s place at Middlesex is confirmed, we will send them information about enrolment, including what they need to do before they come to campus. They must read and keep this information and return any forms to us as soon as possible. When will my child start at Middlesex? 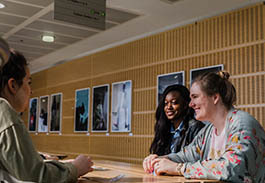 International students start with an Orientation Week (17-22 September 2018). Welcome Week and Orientation Week help your child to settle in, meet new people and get to know their course and our support services to prepare them for their first term. Our guide to what happens in the first weeks of university plus advice from parents of current students. Before they start with us, your child must read the University's regulations and policies so they know their rights and responsibilities as a Middlesex student. Now they're on their way to Middlesex!